Clearwater Cup is an annual Rugby Sevens tournament held each spring in Calgary, Alberta, Canada. It currently offers competition for High School Rugby programs in Senior Boys, Senior Girls, Junior Boys, and Junior Girls divisions . It is a showcase for up-and-coming student-athletes in Calgary, surrounding communities, and teams from further afield. Most importantly, Clearwater Cup is a coming together of Rugby enthusiasts to celebrate our game in the spirit of good sportsmanship. It has grown in recent years and, with 72 High School Teams participating, it is the largest High School 7s Rugby Tournament in Canada! The Clearwater Cup High School Rugby Tournament was originally conceived in partnership with The Calgary Senior High School Athletic Association, The Calgary Rugby Union, and The Calgary Booster Club. 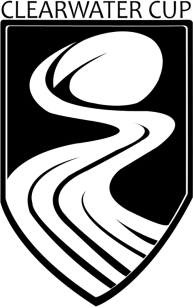 Initially created as a full fifteen-a-side Rugby Union competition with a scholarship component, the Clearwater Cup was reformed as a Rugby Sevens event to satisfy the growing demand for this open, quick-paced style of play, to foster a "festival" atmosphere for Calgary High School Rugby, and to anticipate the increased profile of Rugby returning as an official olympic sport (after 92 years) for the Summer Games in Rio de Janeiro, Brazil 2016. As an homage to Colonal McLeod's earliest impression of the local geography, the founders of this Rugby tournament sought to evoke a piece of local heritage in naming this event. The word "Calgary" (imported from Scottish Gaelic) is thought to have originally meant "clear running water". The confluence of the Elbow and Bow Rivers (Moh-kins-tsis and Makhabn, respectively, in the Blackfoot language) had been used as a meeting place for thousands of years. McLeod recognized the importance of this area, and saw in it a resemblance to the Isle of Mull in Scotland. "Clearwater Cup" is meant, then, to underscore an appreciation for the beauty, geography, and rich history from multiple perspectives. Clearwater Cup tournament organizers acknowledge the traditional territories and oral practices of the Blackfoot Nations, which includes the Siksika, the Piikani, and the Kainai. We also acknowledge the Tsuut'ina and Stoney Nakoda First Nations, the Metis Nation (Region 3), and all people who make their homes in the Treaty 7 Region of Southern Alberta.